Evonik: Wetting and dispersing additives prevent floating, flooding, and sedimentation of pigments in paints, inks, lacquers, and pigment concentrates. They operate in three partly consecutive / partly concurrent steps: wetting, dispersion, and stabilization. The replacement of all air with liquid. In order for this to happen, the dispersant must have a lower surface energy than that of the pigment surface. The mechanical breakdown of pigments into primary and aggregate particles. If you break down pigments and put nothing in between them (aka wetting and dispersing additive) then they will simply flocculate back together. Stabilization can occur through electrostatic, steric, or both. Essentially the interactions between the pigment particles are being reduced, therefore leaving a more stable dispersion. MCP: Where and why should you use a dispersant? Evonik: Formulators use dispersants to improve the incorporation of pigments and fillers in a coating and to maximize the efficiency of pigments (in terms of color strength or gloss development). MCP: Selection of dispersant prior to surfactants – why? Evonik: At the core of every dispersant is a wetting agent, but wetting agents alone cannot stabilize pigments efficiently. Dispersants use pigment anchor groups such as carboxylic acids, amine groups, to attach to the pigment and surface and therefore stabilize over longer periods of time. MCP: What are the types or chemistries for dispersants? Normally a high molecular weight dispersant, offers good viscosity reduction and allows for higher pigment loadings. Widely compatible with various binders and systems, normally has a high molecular weight, which ensures particles are kept separated. Although, sometimes these contain APEs and this is harmful for the environment. Dispersing additives that have hyper-branched polymeric chains. They are incredibly efficient in reducing inter-particle interactions. This means, a smaller particle size is able to be achieved in a shorter milling time. Those would be the most commonly used dispersants on the market. But, these can all have different types of attachment groups to increase compatibility and stability with pigment, example: polyester chains, and fatty acid groups. MCP: What should formulators consider when selecting a dispersant? Rheology modifiers could introduce some incompatibilities in the system. Acid-type dispersants decrease in solubility when combined with non-ionic thickeners. Does the formulation contain tricky raw materials? This is something to keep in mind when selecting dispersants and other surfactants. It is a good idea to check for compatibility with the resin and any solvent involved. The goal is to have a stable dispersion even after stability tests at elevated temperatures. A dispersant will help keep a dispersion together and reduce the sedimentation of pigments. Some dispersants are more hydrophobic in nature. This can help reduce water intrusion and blistering. Color acceptance will correlate to the pigment stability when the colorant is introduced into a white base. When this mixture is drawn down, it produces a certain color strength. Agitate the pigment by rubbing the film before it is dry; if the color is inconsistent, then the dispersion is not stable. High gloss is obtained when the coating surface is very smooth and the diffuse component of reflection is small. Flocculates that protrude from the surface may interfere with specular reflection. Flocculated pigments also affect leveling. Poor leveling decreases the gloss even further. Because wetting and dispersing additives inhibit flocculation, they tend to increase the gloss of a coating. Some pigments have the ability to inhibit corrosion in a system. When corrosion occurs it attempts to bring the metal substrates down to their lowest energy state. Metals, such as oxides, already exist at their lowest energy state, therefore it disrupts the corrosion reaction. These pigments tend to be very dense, therefore they need a high molecular weight dispersant to stabilize them. As VOC regulations get more strict, 100% active, solvent free dispersants are a good alternative. 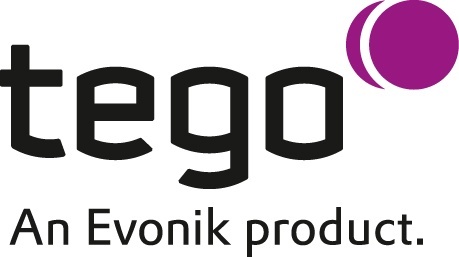 TEGO is a leading brand in the international coating additives industry. Our extensive portfolio includes various additives (such as defoamers, dispersing aids, and hydrophobing agents), co-binders, nanoresins, and heat-resistant silicone resins. TEGO’s diverse product range provides solutions to a wide variety of even the most difficult coatings challenges.